Here you will find the monthly change protocol, guidelines and tips & tricks for your Avendoo® world of learning. 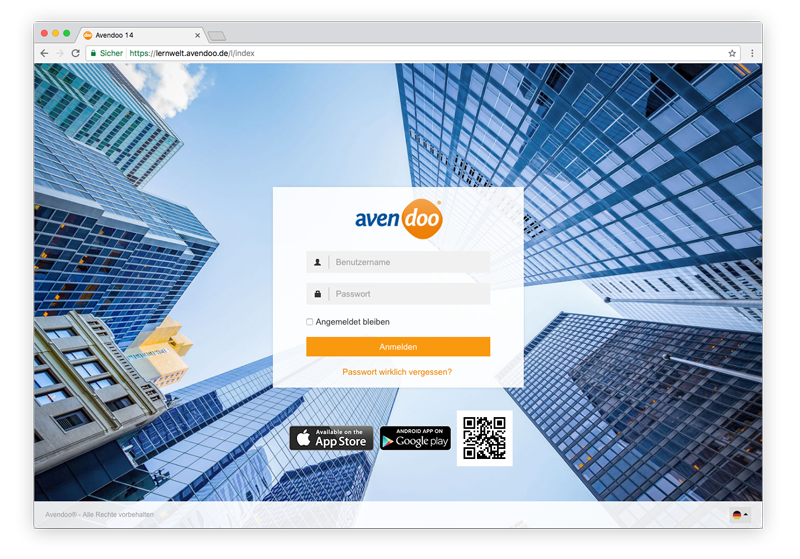 To enter the Avendoo® world of learning, pleaser enter the server address of the Avendoo® server in the browser line. For the right server address, contact your responsible IT Managers or the Avendoo® hotline (+49) 05251-698899-6. This online documentation is organized as the learning enviroment itself. First, select your user types (author, user, team leader or administrator). Then you come to the function explanations and assistance of the corresponding area. We hope you will understand that the English version of the online documentation is still under construction and therefore some pages are not available in English – at the moment.